"It’s about giving back time - no matter whether our customers are gifted or paying, it is about giving people time back"
Dinner on the Table is a social enterprise founded with the purpose of working together with the community to transform the way that society cares for women made vulnerable by disability. All the profits made from the sale of meals are used to gift meals to families that are living with disability. 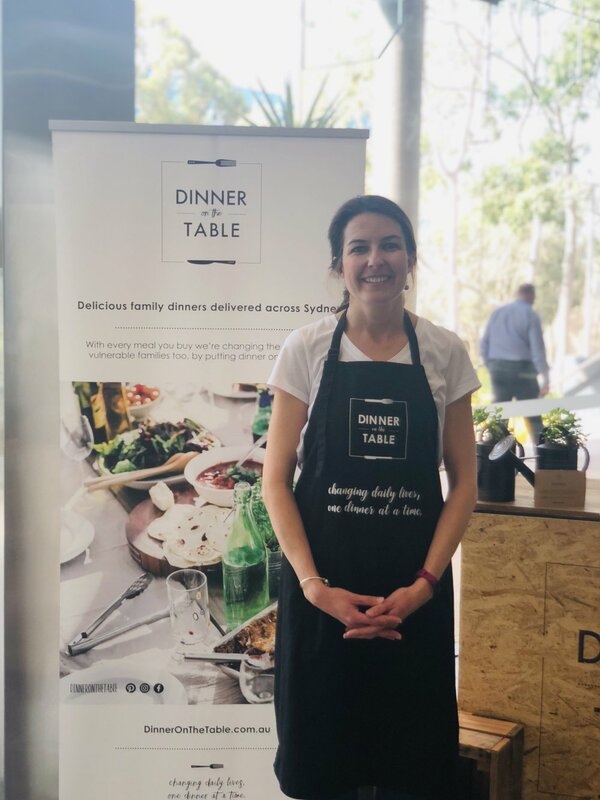 Founded by Rachel Golding, Dinner on the Table started simply - with a request from a few friends to cook them meals that could be heated up at home. From there Rachel used her background in family and disability research to look at how she could bring Dinner on the Table to far more families. As a self-described “recovering academic”, she has channelled her experience as an occupational therapist and her interest in understanding and influencing family wellness into a business that has wide potential for social impact. 1. Each week, the kitchen team in Castle Hill cooks the delicious and nutritious food using high quality local produce and specially made stocks and curry pastes. 2. You choose the right meal for your family. The meals come in three sizes - Large (3-4 adults), Medium (2-3 adults), and Small (1-2 adults). 3. The meals are packaged and delivered, OR you can purchase from the kitchen at 32/7 Carrington Road, Castle Hill. 4. You enjoy your meal! All meals come cooked for you, and only require simple preparation. Dinner on the Table not only supports families living with disability, but also is partnered with disability services in a number of ways. They have a partnership with The Hills School in Northmead, where they take their compostable kitchen scraps which are used in their vegetable garden. Dinner on the Table has also partnered with a service to give adults with intellectual disabilities the opportunity to get work experience in the kitchen. Living with disabilities can make it extremely hard to find opportunities. Rachel describes their long term hope as being able to “build a program where young adults with intellectual disabilities can get their certificate 3 in hospitality”. 1315 meals gifted to families living with disability. 4528 adult portions served not counting all the children that have been fed. 325.8 kg of veggie scraps composted by The Hills School kitchen garden. Dinner on the Table understands the impact that a long commute can have on your day. Employees in Macquarie Park spend an average of 110 minutes every day on their commute, so the last thing they need after all the responsibilities that come with having a family - is to have to think about cooking a meal from scratch. Designed to make cooking a good meal easier, all meals simply need to be quickly finished at home, giving precious time back to families to catch up on what needs to be done or sit down and relax. After pitching the idea of a dinner cart to AMP Capital, Dinner on the Table has now set up a dinner cart in the Ground Floor Foyer of Building 3 in Thomas Holt Drive. With support from AMP Capital, the cart in Macquarie Park is a good starting point, and the future could see expansion to all over Sydney. Come and see them at the location below and grab a real, time-saving dinner that also has a social impact on the life of someone who is vulnerable. For more information visit the Dinner on the Table website here.